If you’ve never gone through the process, it may be news to you that not every disabled American qualifies for Social Security Disability. In fact, nearly two-thirds of all initial applications are denied. That’s thousands of people every year turning to the government as a last resort and having a door slammed in their face. 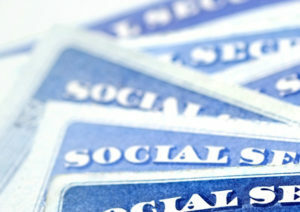 If you’ve been denied Social Security Disability benefits, we don’t have to tell you what’s at stake. You can’t work because of your disability, which means no money is coming in and it could be tough to make ends meet. An experienced Social Security Disability attorney from Rainwater, Holt & Sexton can review your denied application and help you figure out what went wrong. We encourage you to give us a call immediately if you’ve been denied benefits. At Rainwater, Holt & Sexton, we know the system. We can help you put together an appeal that gives you the best chance of securing benefits the second time around. Contact us today for your free, no obligation consultation. You need these benefits to survive. Let us help you get them.